We hope all our residents are settling into our community of downtown San Antonio apartments. Yes, we’re even talking to those of you that have been here for a few months. It takes awhile to get adjusted to a new living space, and it can sometimes be hard to find time to do things like buy additional furniture, figure out how you want to organize your apartment, and set up all the little knick knacks that will make your new space feel more like a home. If you haven’t had time to do those things, we hope that this week’s blog inspires you to take the necessary steps to finish furnishing your new place. The post below is filled with furniture tips, and it’ll help you make the most of the available space in your apartment. If you’re ready to make it happen, dive into the blog post below! When you’re done reading through it, please feel free to share the link to this page with your friends and neighbors at Southtown Flats — the apartments downtown San Antonio residents choose for upscale comfort in the heart of town. We’ve all been tempted to buy the giant sectional couch. It looks comfortable, yes, but it also looks like it will take up all the remaining space in your apartment. Plus, if you buy a huge sectional couch, you’ll have to buy huge end tables and coffee tables to match. One large piece of furniture doesn’t work if all the other pieces around it are small. Instead of buying that huge couch, get a reasonably-sized couch so you can match it up with other reasonably-sized pieces of furniture. Your place will look more put together, and you won’t have to deal with moving a massive sofa into your new apartment. The best furniture is flexible, changeable and modular. There are tons of ottomans, couches and coffee tables out there that can be pulled apart and put back together in different ways. The more of this kind of furniture you buy, the fewer pieces of furniture you’ll have to buy overall. These pieces are out there, you’ve just got to be willing to search for them. There’s nothing worse than feeling like you’ve run out of storage space. When that happens, you end up throwing a lot of stuff away because you don’t feel like searching for that little extra bit of storage space. You can avoid feeling this feeling by purchasing furniture that has storage built-in. We’re talking about couches that lift up to reveal storage space beneath the cushions and ottomans that open up to reveal extra space. We’re all out of furniture advice for this week’s blog, residents! 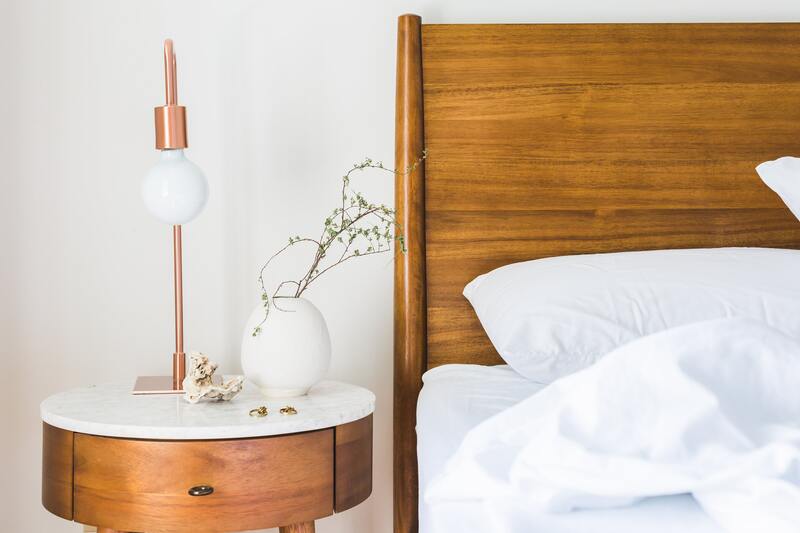 We’d like to thank you for spending some time with us here on the Southtown Flats blog page, and we hope that you’re able to use these furnishing tips to turn your new apartment into the living space of your dreams. We’ll be back in a couple weeks with another brand new post for our residents! If you liked this week’s blog and you want to read more like it in the future, we recommend that you bookmark our blogs page so you can easily check back when the next post goes live on the site. While you wait for that next post to go up on the site, be sure to follow Southtown Flats on social media! That’s the fastest, easiest way to ensure you’re always among the first to hear about resident events and promotions going on at your community of apartments in downtown San Antonio.